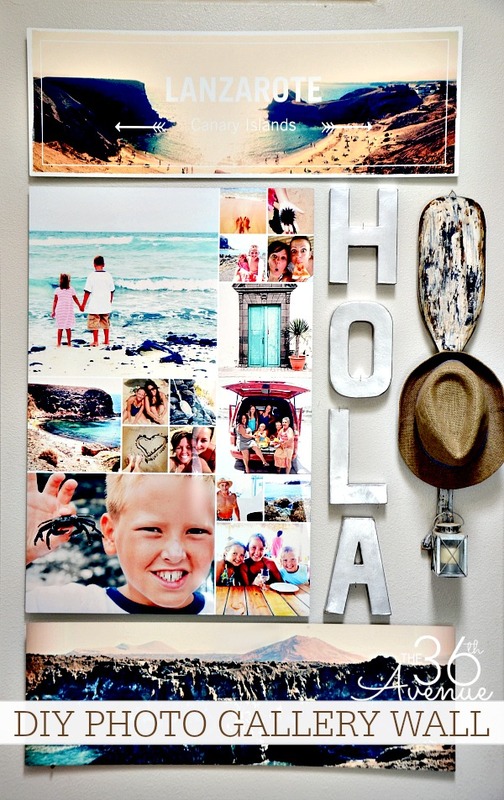 I had a blast creating our new Gallery Wall for Shutterfly this month! Home Decor is my passion. I love transforming a space and making it my own. When I find a company that can make my vision come true by the click of a button, and deliver it right to my front door my heart gets… happy! Today I’m sharing with you our new Entryway Decor and our super fun Photo Gallery Wall… Are you ready to see it? As many of you know by now I was born and raised in The Canary Islands. Last Summer we had the best time visiting my family and enjoying the gorgeous beauty of my island. As you can image I took a bunch of pictures that had been in my camera until a few weeks ago. Oh my goodness! 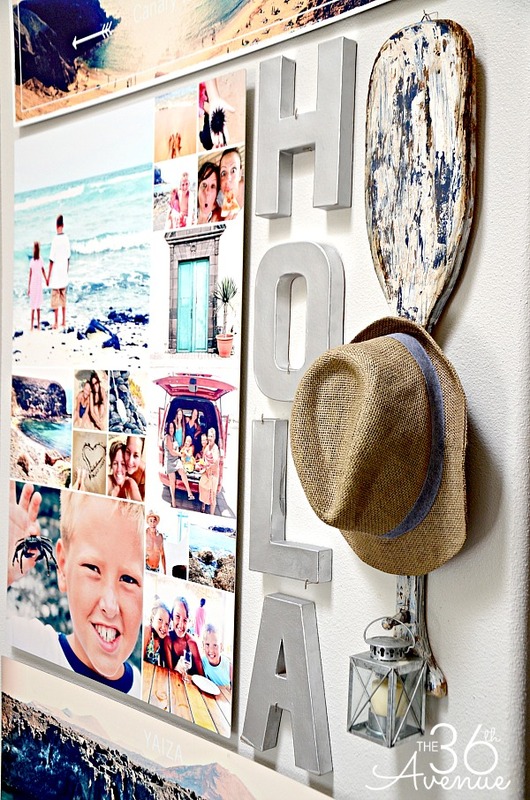 I had a blast visiting the Shutterfly Home Decor Website, downloading some of my favorite pics, and creating with them our new Photo Gallery Wall. Now when I enter my home it is like I am going back home. This little corner has become one of my favorites! 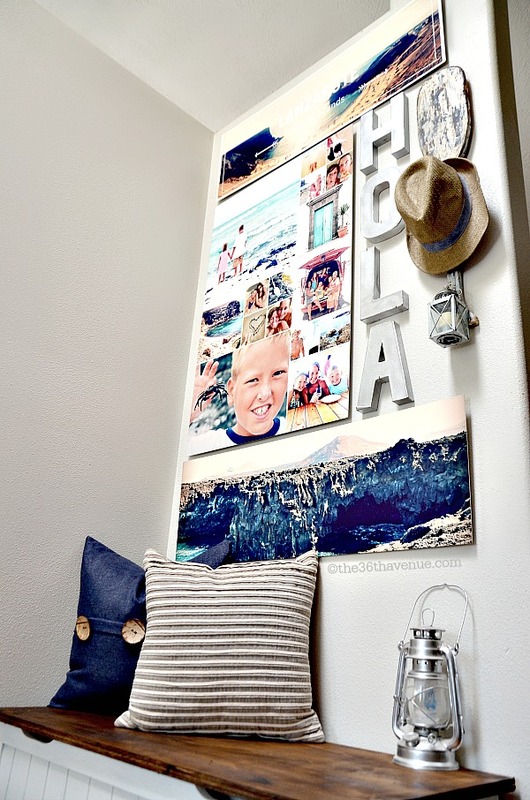 I wanted the memories captured in the pictures to be the focal point of the wall and these Metal Prints were the perfect choice for our entryway. Yes you heard me right, with Shutterfly I was able to print the images on metal… How cool is that? To finish the wall I added a few other items that remind us of the wonderful time we had and the many memories we created. The possibilities are endless… Make sure to check out HERE all the options that Shutterfly offers on their website! Keep in mind that right now they have an awesome Special Offer going on. You can save up to 20% on select home decor items. Visit HERE and on their menu click on Special Offers. Congratulations to Monica Gurry ! 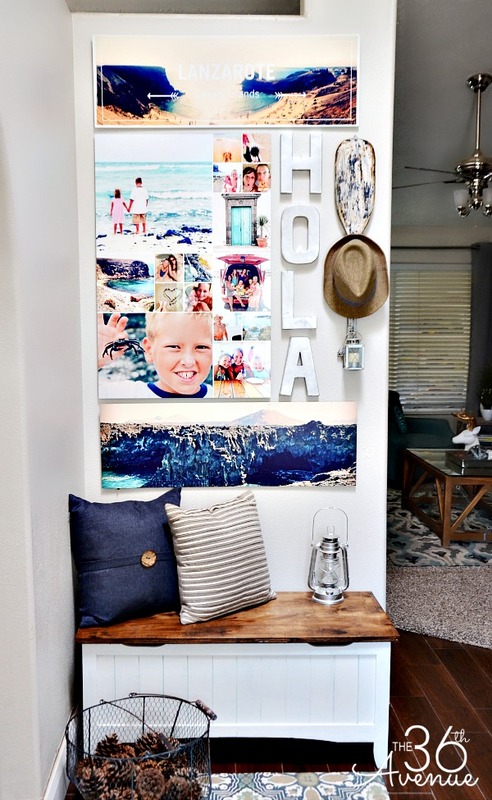 so you can decorate your own home with your own moments and memories. telling me what Home Decor Item is your favorite! I love the pillows obviously but, I really would purchase the sepia canvases I have my dad’s old Air Force photo and I would love to have that blown up! 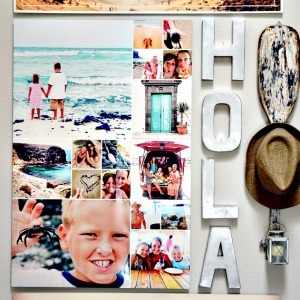 i’ve been eyeing their canvas prints and would love to try them! It’s hard to choose. But I do love the Gallery of Six 20×30 Mounted Wall Art. The Christmas stockings are nice, too! I love that they are personalized with a picture. The “I’m a Snowman” is my favorite. I am SUCH a Shutterfly fan! Everything I’ve ever purchased from them has been so great. Thank you for an opportunity to win such a generous prize! 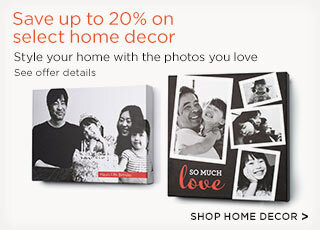 I like the glass prints & the metal prints on the Home Decor page at Shutterfly. I love the vintage style canvas prints in the Heritage Room! I am in LOVE with the Erasable Decals and the Canvas Prints! The metal prints look really interesting! Would love to keep one and give one to my mom as a gift! I really want the Our Fun Adventure wall decal. I have been wanting to do this for such a long time, but funds aren’t there. We are a military family with 17 yrs in and 6 more years to go, so it would be such fun to fill in the decal with all of our trips and moves. We have gotten to see some amazing places and people! I love the metal prints!